One of the best ways to unwind after a work day is to immerse yourself in one of your favorite gaming worlds. Whether you're playing God of War, Dota2, or any other current worldwide phenomenon, good gaming headphones make all the difference. You need to have the sensation that it's you on the screen and not just your character. In order to totally satisfy your gaming itch, the sound should be deep and resounding with the clarity to be able to hear the bullets whiz by. If you're a gamer, you know that it can get expensive with game upgrade and subscriptions. Accessories for your console can be quite expensive too, but sometimes they don't have to be. There are a ton of gaming headphones available for under $100. We have decided to put together a list of our ten favorite gaming headphones for under $100 for you to decide what is best for you. 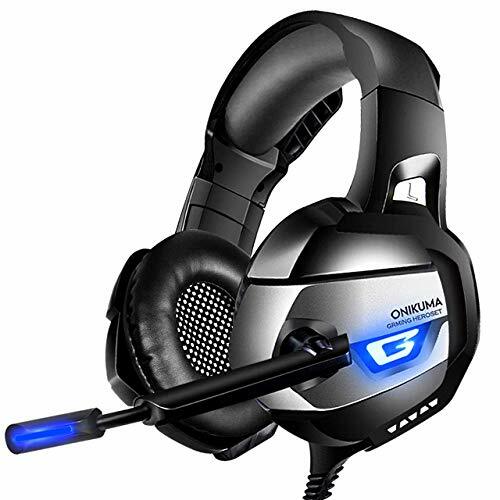 These gaming headphones are compatible with pretty much every gaming console on the map. The dynamic 40mm sound drivers offer ambient noise isolation, shock vibration, and sound clarity to let you absorb all of the intricacies offered by your favorite game. The omnidirectional mic allows you to communicate with teammates and enemies clearly and uses noise-cancellation technology to block out unwanted sound. The leather earcups and adjustable headband make them really comfortable to wear. You can control the volume of the shots coming your way with the buttons positioned on the cable. For less than 100 bucks, these headphones will offer you all the engulfing sound you will need. Why We Liked It - These headphones are pretty comfortable when wearing them for long periods of time. The sound quality is really strong and the mic is clear. They are a great set to get you into the game for under $100. Experience the kind of mind-altering 360-degree sound with the Dolby 7.1 surround sound technology. The comfort level is exceptional with 90-degree earcups for when you need to rest them on your head or talk to someone in the real world. The rotatable mic offers noise-cancellation to block out ambient background noise. The volume and mic controls are easy to reach with them being right on the cable next to the earphones. They are really comfortable with leather ear cushions and an adjustable headband. 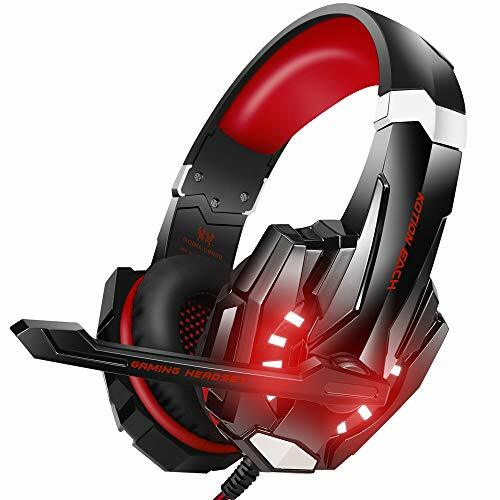 These headphones are compatible with most gaming consoles. 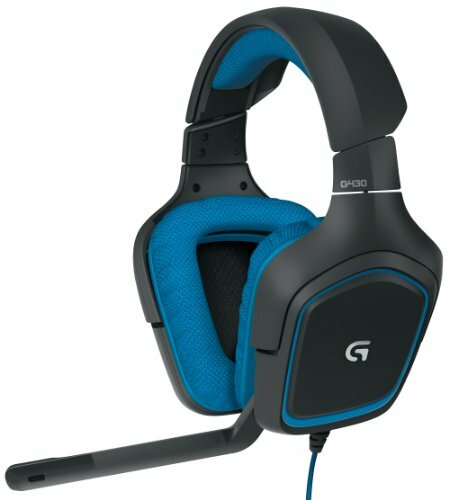 They will be great for any gamer, for any game for under $100. Why We Liked It - These are a simple pair of headphones that get to the point and get the job done. The sound is great, they are comfortable, and the mic is clear and constant. They stack up next to headphones that cost a little bit more and will leave you satisfied. If you're looking for a pair of gaming headphones that really make you feel like you're in the game, then these might be the right ones for you. 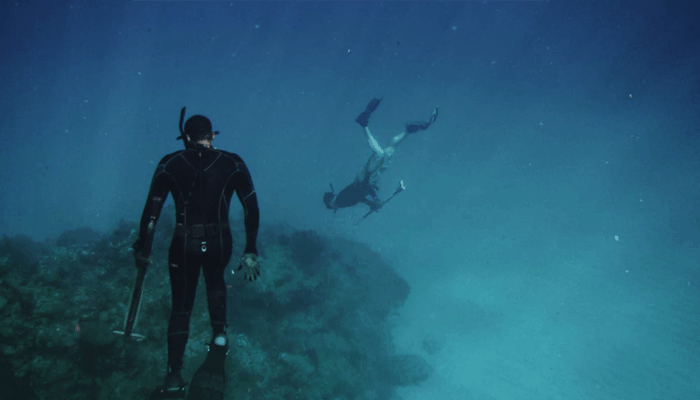 They are equipped with 360-degree surround sound to offer the highest level of immersion. They are highly sensitive and offer a great response to in-game nuances. They are designed with comfort, durability and ergonomic wear in mind. You can wear them for hours and move your way through your favorite world without being disturbed. The braided USB cable is highly durable and won't tangle up after every use, and hold the button control on the cable for easy convenience. The earpad is breathable and soundproof, offering exceptional comfort. The mic rotates 120 degrees if you need it to get out of the way, and offers crystal clear sound for reliable communications. Why We Liked It - These headphones really make sure you feel a part of the action. They are comfortable and isolate the noise you want to hear from the noise you don't need. You can wear them for hours without getting tired and they are pretty durable as well. VersionTech offers you a sound that is really grandiose in a pair of headphones that is comfortable and well lit. They boast 50mm drivers to bring massive sound quality and clarity. The futuristic design and LED lights make you look like you belong in the control room. And, you won't be distracted by any discomfort. Extreme soft and protein ventilation earcups will help cut down on the moisture between your ears and the headphones. 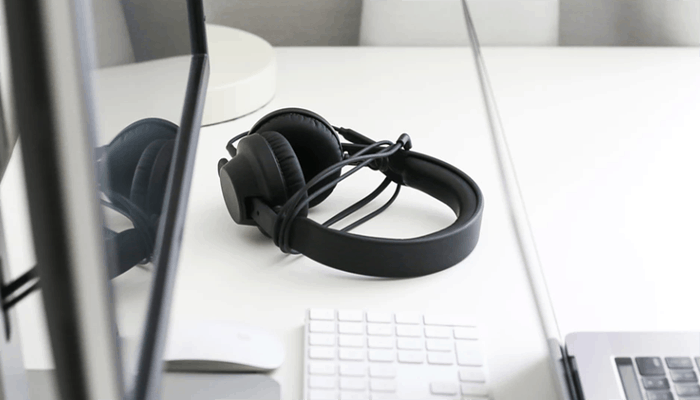 The noise-canceling mic rotates 120 degrees when you need it out of your way, and offers clear, quality sound when you need to rely on your communications. 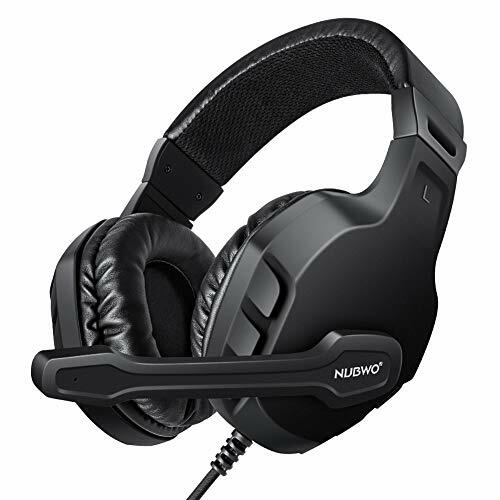 You have control over the volume and the mic with the in-line controls right on the ear cup cable. They are highly compatible with newer versions of gaming consoles, but be sure to check if they are compatible with any older consoles. Why We Liked It - You can really wear these headphones for hours without getting tired of them. They offer some of the most accurate and engaging sound of any gaming headphones. 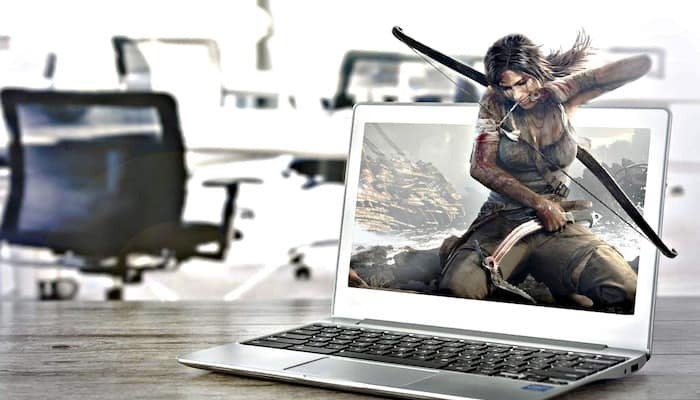 Gaming these days has been taken to a professional level, and if you're at that level, or still brushing up on your skills, you're going to need the equipment that gives you the professional experience. The 50mm drivers offer resounding bass and enhanced trebles. They are responsive and accurate to keep you focused on what matters. After testing the comfort level on hundred of applicants. they have created a design that is comfortable for long-lasting wear. The protein ear cushions and retractable headband gives the user maximum comfort levels. The noise-canceling microphone is clear and accurate. You will have no trouble getting your point across to your teammates or enemies. You can also flip the mic off for the times when you don't want your compadres to hear from you. Why We Liked It - There are no problems when wearing these gaming headphones. They truly give you a professional feel and immerse you in the game. They have everything you need for a pair of headphones under $100. Onikuma is known for offering some of the highest quality products to the gaming world. They do not disappoint with these headphones that come at a really agreeable price point. The ear cups are bigger, thicker, and better padded to offer the highest level of long-lasting comfort. 7.1 surround sound gives you some of the best and biggest sounds you can hope for when fighting off your foes. With noise-isolating technology you can keep the sound where you need it to be and your focus on what you need it on. The super-strong cords and joints make these headphones really durable and long lasting. The rotatable mic will be easy to get out of your way and will offer crystal clear communication. Why We Liked It - These are one of the most professional feeling pair of headphones available. The sound quality, comfort, and mic clarity are all expectation meeting and will leave you totally fulfilled by your gaming experience. 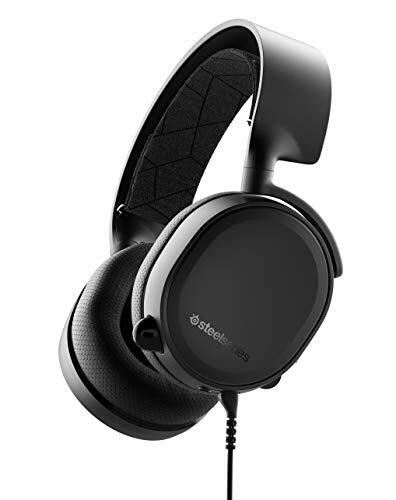 The SteelSeries Arctis 3 gaming headphones have a great design and stand out in comparison to other gaming headphones. The ClearCast microphone offers some of the clearest sounds in the gaming world. Your friends and enemies will be able to hear you with no impedance across the frequencies. S1 speaker drivers will give you the edge over your competition as the sound is so clear and accurate that you'll know what is happening around you as if it is in the room. There will be no lag between action and response with the fantastic sound quality. The headphones offer low distortion so that you don't get any unrealistic fuzz in your ears during gameplay. The Air-Weave ear cushions are designed with athletes in mind, which is a good thing for preventing unwanted moisture from building up around your ears while playing. You will be able to wear them for hours without discomfort. Why We Liked It - In terms of gaming headphones, they may be one of the more stylish pairs you can get for under $100. 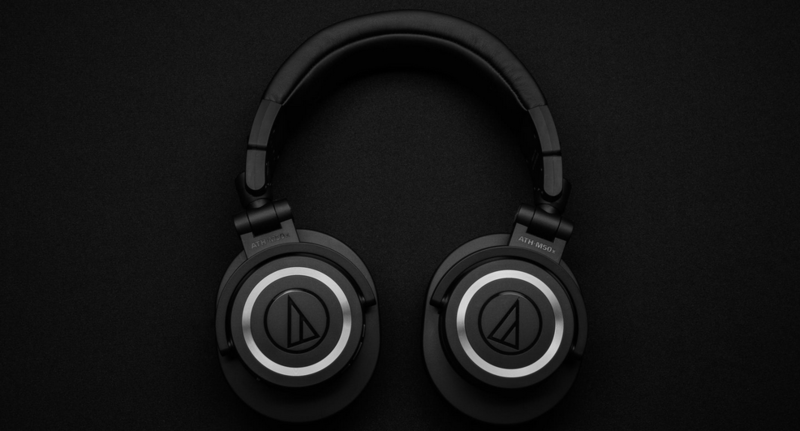 They are slick and comfortable while offering a superior sound response. The mic is not retractable because it already is tucked nicely against the earphone. There is nothing in the way of conquering your enemies in the game. Modohe has created a set of gaming headphones that are highly compatible and sound great. Whether you play XBOB, PS4, or PC headphones will offer you superior sound quality with their neodymium magnets. 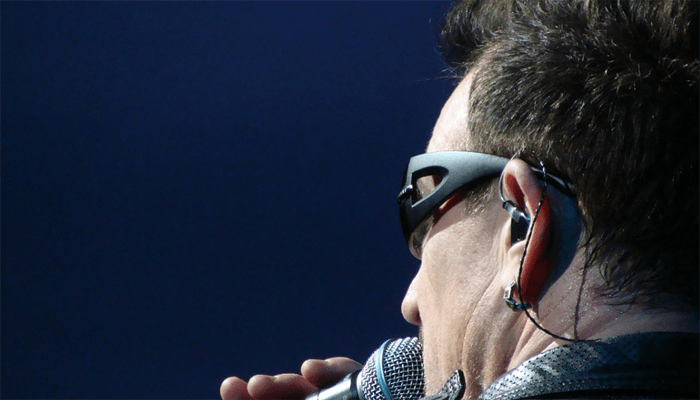 The noise-canceling microphone is easy to rotate out of the way. It has a really clear sound and cancels out the unwanted extra sound. The design is really comfortable. The headband is adjustable and the ear cushions are well padded with leather cups. Quick audio adjustments are easy and convenient with controls directly on the earphone cable. 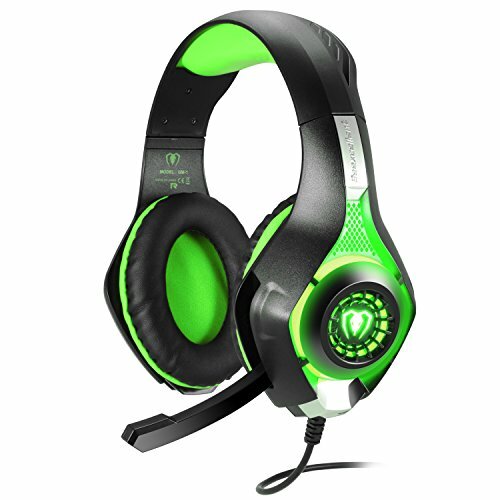 They are designed to give any gamer a comfortable, high-performing pair of gaming headphones. Why We Liked It - Gamers of any age and type will love these headphones for their convenience and comfort. 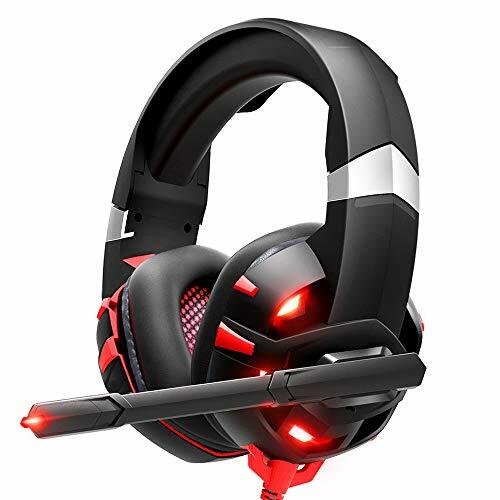 The sound is impressive for a gaming headset at a reasonable price. 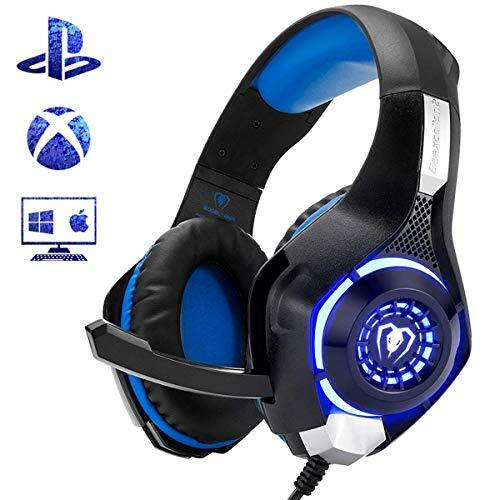 Although these headphones are widely designed for PS4 use, they are also compatible with a few other devices. They will work best on PS4 but can be used with Mac, PC, and tablet devices. They hold a highly precise magnetic driver to offer clear and heavy sound quality. The adjustable headband and super soft ear cushions make the headphones comfortable to wear for hours without interruption. They are also super lightweight and will not tire you out over long sessions. The 7-foot braided cord is perfect for any gamer and will not break or tangle easily. Any good pair of gaming headphones need to have the convenience of button control on the cable. You need to be able to respond as fast as your character can handle, and these headphones will help you do just that. Why We Liked It - Especially for PS4 gamers, you will have everything you need with these headphones for under $100. The sound quality is great and responsive, and you can wear them for hours. They are really light and comfortable. You will be excited to put these headphones on every time and dive into the world of gaming. The HyperX Cloud Stingers are one of the best gaming headphones for under $100. They have all the features you want and need in a pair of gaming headphones. The 90-degree rotating earcups give you the ability to swing the ear cups out of the way when you need to free up one of your ears. The audio quality s super precise and strong with 50mm neodymium magnets blasting the frequencies. The memory foam is signature to HyperX and will offer a customized level of comfort for your long-term listening experience. The mic is easy to use and offers clarity while swiveling it out of the way gives you control over who can hear you and when. Noise-cancellation technology on the mic makes sure that only the sound you want to broadcast is getting through to your compadres. Why We Liked It - These headphones are high and satisfying quality. 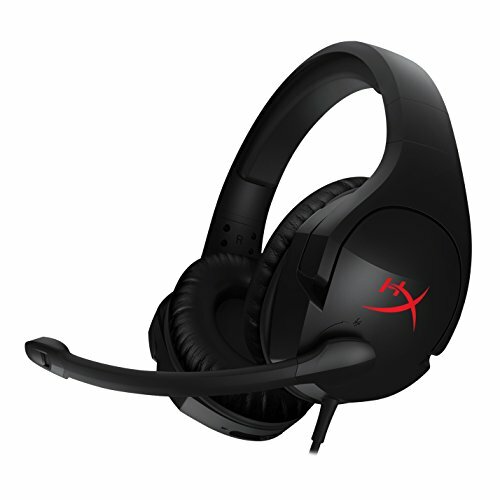 For any gamer of any skill level, they will offer some of the most precise sound available. With exceptional comfort and durability, you will be able to wear them for as long as you need to in order to conquer the boss. Finding the right pair of headphones is going to be important to give you the most engaging gaming experience. There are a lot of options available when it comes to gaming headphones so you have a lot to pick from. It can be hard to distinguish what you may need so we decided to put together a short buyers guide outlining each factor involved in the buying process. Gaming headphones are not quite like headphones for everyday use. Of course, you need them to be comfortable, durable, clear, and stylish. 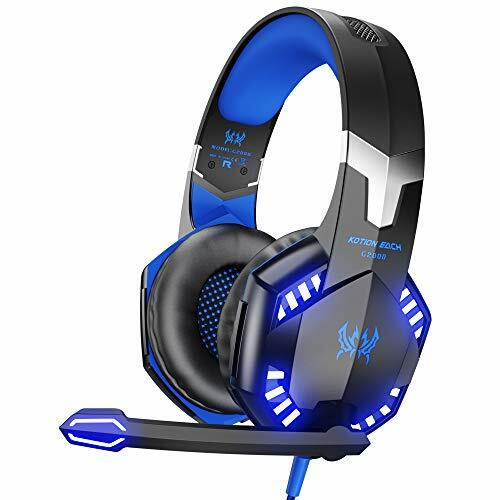 You want them to offer you the best sound quality with a clear microphone, easily controllable and able to stand up to some of the toughest gaming conditions. Here are some of the factors you should pay attention to. 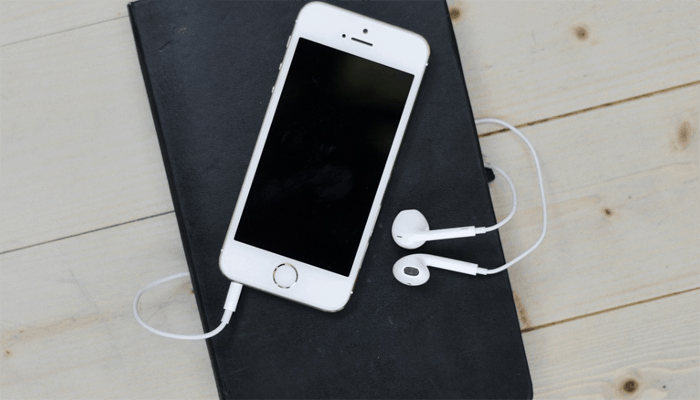 Since you can get both types of headphones, which is going to be the best for your purpose? Wired headsets generally are more affordable and reliable when you are playing. 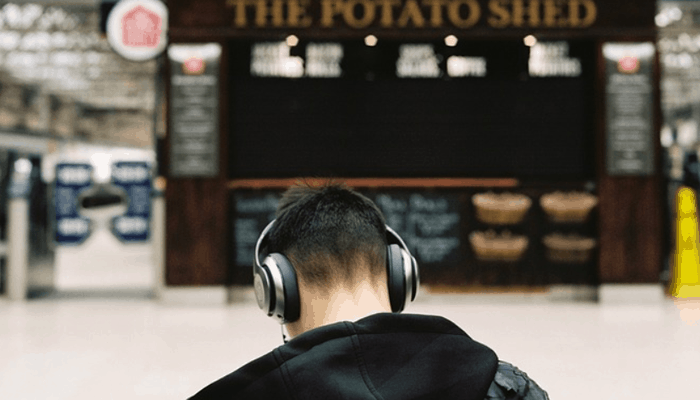 Bluetooth connected headphones can be a little more expensive and, if the connection isn't reliable enough, you may end up losing your signal in the middle of a critical point in the game. With wired headphones, you get constant connectivity and a little more weight in your wallet. Although you will have to stay closer to the console, generally that won't be a problem because being a little closer to the screen is sometimes helpful to your strategy. It just means you will have to contain some of your exploding passion and try not to rip the headphones out of the console. There are two types of sound distribution for you to consider. You can get headphones with surround sound and stereo sound. Stereo is a little less digitally driven and offers the signal to come through the two headphones almost independently. Surround sound does a great job at helping you immerse in the game and feel like you're part of the action. Proper surround sound is great for the experience, but it is a little tougher to get accurate without spending a little more money. The cheaper versions of surround sound are more virtual and create the surround sensation with a little audio magic. Since it is not true surround sound, the quality can be a little muffled with the addition of a little more technicality at play. 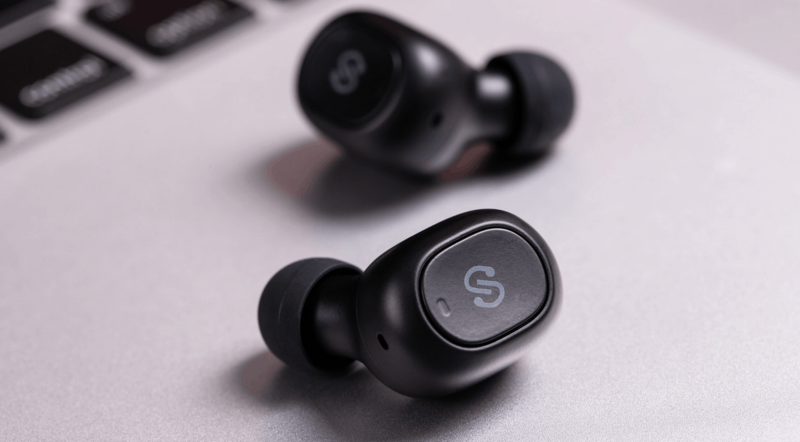 You want to be able to get the most integrated experience from your headphones and stereo may be a better pick as far as getting your price tag under $100. That way the sound will be a little more organic and offer you a stronger experience for less money. How often do you only need to wear your headset for 30 minutes? Not very often right? You need to get a pair of headphones that you almost forget are on your head. 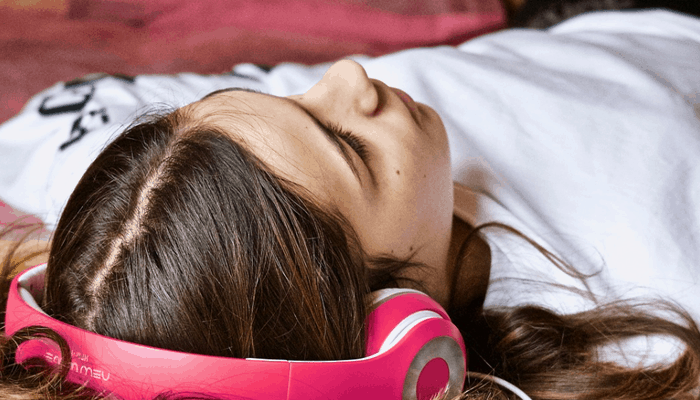 Your headphones shouldn't cause any pain or discomfort. Certain types of material are more prone to cause you to sweat if they are right on your ear. It is better to get headphones that sit over top of the ears and onto your skull. That will prevent them from sweating or causing discomfort to the delicate ear bones. The headband ought to be adjustable to offer the most customizable comfort level as well. the comfort level will play a massive role in the satisfaction you get out of your headphones. One of the most important aspects of online gaming is communication. 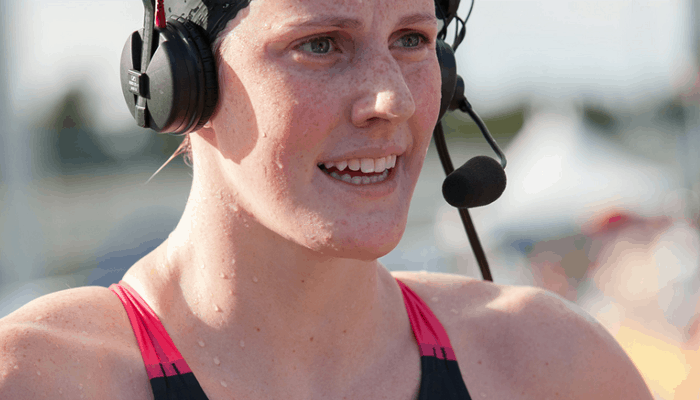 Whether you are working out a strategy with teammates or hurling insults at the enemy, You need to be heard clearly and loudly through the mic so you are understood. Most gaming headphones come with an attached boom mic. This means there will always be a mic on the headphones in front of you no matter what type of game you are playing. Some headphones have a mic that sits closer to the ear cups so you don't have the mic in front of you. Others don't have a mic at all but allow you to attach the mic to the headphones. Sometimes it can be cheaper to get a pair that doesn't have a mic and you can attach it externally. Although this may be the cheaper option, quality may suffer slightly. Mics come with Omni or unidirectional capabilities. Omnidirectional mics pick up a lot more sound coming from around you while unidirectional mics pick up the sound only coming front one source. You likely do not need an omnidirectional mic as you will be doing most of the talking yourself and won't need to have your teammates hear the blender in the background. Most of the time, you will be sitting comfortably and immobile while you are playing your favorite game. Other times, when it comes down to crunch time, you may get a little more active and animated in your movements. Either way paying attention to the durability of your headphones will help determine how long they are going to last for. Sometimes accidents happen. Things fall off desks, get heavy objects dropped on them, or get heaved towards the television set. Of course, you don't want to end up in that situation too often, but if you find yourself there, it is nice to know that you have that little extra protection against unwanted damage or wear. A good pair of durable headphones will last and live through the harshest barrages of gunfire. When you are choosing which headphones are right for you, make sure the seller/manufacturer offers a reliable warranty. Without a warranty, you will be at the mercy of any possible defects or malfunctions without any protection or ability to replace a pair without ease. A good warranty gives you peace of mind and allows you to deal with unwanted problems easily and quickly. Now you should be ready to conquer the worlds with your new gaming headphones. The information we provided should give you a step up in terms of what you should be looking for and allow you to make a confident buying decision. Happy gaming!